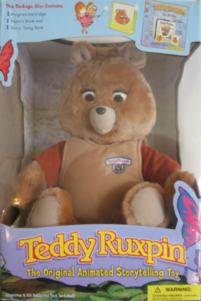 When I was younger the high-tech toy that children desperately wanted Santa to bring was a Teddy Ruxpin, a toy that could move his eyes and mouth and would read books to children when they put an audio cassette into the hard tape player he had in his back. Today kids want an iPad; 31% of kids age 6-12 according to a new Nielsen Survey. Now, I never got a Teddy Ruxpin, so this isn’t a push for parents to buy iPads for their children. But if you are going to buy one, or if you have some type of touchscreen app-using device (like an iPhone, iTouch, Amazon Kindle, or android phone) that you let your children use, it’s helpful to know what types of apps to look for. Unlike the days of Teddy Ruxpin with a handful of tapes you could purchase, today new apps are being introduced daily and just like websites, they can be created by almost anyone! Common Sense Media provides reviews, age appropriateness, and some description of the content. For example, “Eddy’s Number Party! HD” is reviewed as “A hidden gem!” for 4 year olds. It receives 5 stars. It gets 4 A+ for its educational value and 5 controllers for ease of use. KinderTown (free) is an app to help parents find appropriate apps for their children. You can search apps by platform, age, subject matter, and price. This app doesn’t offer much beyond a searching service (meaning it doesn’t review the apps) but it will link you to the app’s page where you can read more about the app from the app developer. Moms with Apps App (free) allows you to search apps based on general categories (e.g., art, games, geography, parents), books, developers, apple pics, new releases, etc. Again, this app doesn’t offer reviews of the apps, just another way to search for them. Lunchbox Reviews provides reviews and ratings on a variety of apps both for kids and for parents. Ratings are provided using a star system and users can rate the apps and include comments for others to read. Lunchbox reviews also categorizes the apps by age group, platform, categories, and device. 1. Child. Think about your child specifically. How old is your child? How developed are her fine motor skills (e.g., controlling her finger movements on small objects)? How well does she understand different types of content? 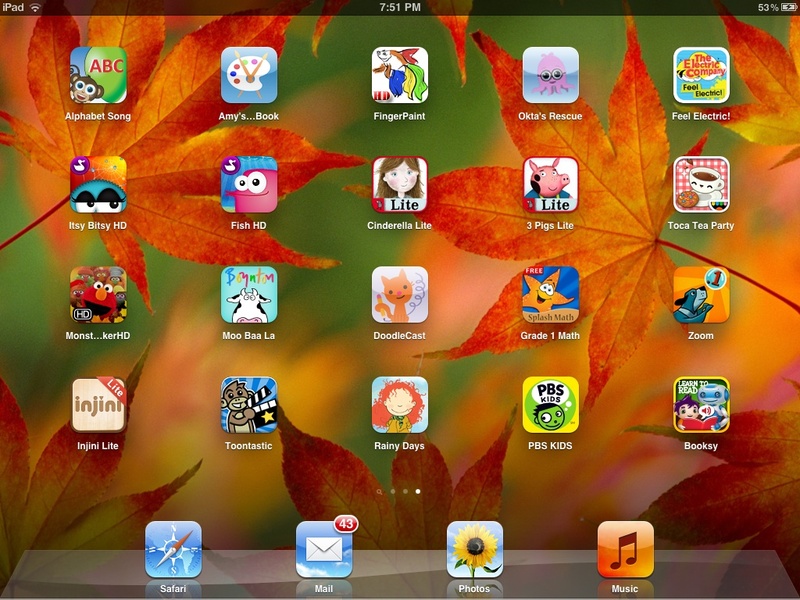 Try to pick apps that move slowly, allow the child to set the pace, and are relatively simple. Children will likely only be playing each app for a few minutes, there is no reason that the app needs to teach them EVERYTHING! Think about the activities your child can do outside of technology – if he likes coloring, look for coloring apps that can allow him to expand his coloring experiences by mixing colors, etc. 2. Content. Think about the areas in which your child excels (e.g., running, counting, colors, drawing) and which areas she needs more help. Also consider the topics that interest her (e.g., soccer, coloring, building) and topics that she hasn’t been exposed to yet but might like (e.g., travel, history, art). Try to look for apps that push her to further develop her understanding and interest in topics she already likes and ones she may not have experienced yet. Make sure the content is age-appropriate and help her to understand what she is playing with (the same way you help your child understand the content of a book when you read it!). 3. Context. Before you buy apps think about how you want it to be used by your child. If you plan on playing and engaging with your child while you use the app, look for apps that encourage interpersonal interaction (e.g., Toca Tea Party). If you are looking for apps to keep kids busy in the car, look for ones that provide the interaction through the app (e.g., Sesame’s The Monster at the End of this Book). How you engage with your child while they are using apps will influence how/if they are able to learn from the experience. Please take a second to read this piece I wrote for Huffington Post about Child Sexual Abuse. It’s too important of an issue to ignore.